Self Managed Superannuation Funds (SMSF) is one of the largest single investments that anyone will make and is a vitally important, tax-effective investment vehicle. D&M Financial Services offer SMSF setup, SMSF advice and management for both individuals and businesses with particular expertise in self-managed superannuation funds in Clyde, Berwick, Pakenham & Melbourne. D&M Financial Services has been formally endorsed by the Self Managed Superannuation Funds Professionals’ Association of Australia as a Self Managed Super Fund (SMSF)Specialist Advisor. This accreditation is the first and still most widely recognized Self Managed Super Fund specialization in Australia. SMSF setup is a complex undertaking and needs to be done properly to be eligible for tax concessions. Let our SMSF Advisors help you get it right with the right SMSF advice. We offer a free initial, no obligation consultation -To discuss how we can help you and your family with Superannuation/SMSF setup &advice – Contact Damien Burns direct on 0413 698 770 today – We cater to all areas of Greater Melbourne including Pakenham, Beaconsfield, Berwick, Narre Warren, Officer, Clyde, Clyde North and more. To learn how we can help you and your family with Superannuation/SMSF, call our specialist SMSF advisorDamien Burns directonat0413 698 770 today! 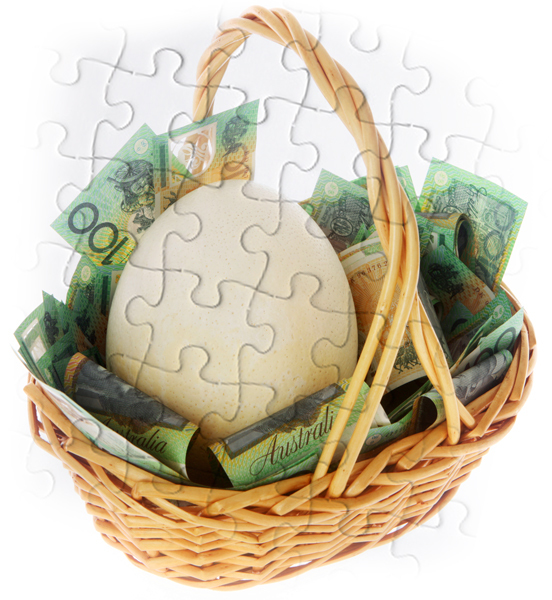 The general concessional contribution cap, which applies to those under age 50, has increased to $30,000 from 1 July 2014. Mary is aged 55 and earns a salary of $91,300 per year. Ordinarily, Mary’s income tax liability (including Medicare levy) for the 2014-2015 year will be $23,563. Mary’s employer is required to pay $8,673.50 in Superannuation Guarantee payments for the 2014-2015 financial year which is 9.5% of her salary. With the increased concessional cap, Mary can salary sacrifice $26,326.50 into her SMSF ($35,000 – $8,673.50). She will not pay income tax on the amount paid to superannuation. By salary sacrificing to superannuation, Mary’s income tax liability would reduce from $23,563 to $13,947. (It is important to remember that Mary’s concessional contributions will be taxed at 15% in her superannuation fund). Three children, aged 11, 8 & 4. David and Jody are doing well for themselves, they have a young growing family and a comfortable lifestyle. However, they are now beginning to question the arrangements they have in place with one of their biggest assets, their superannuation. They both have a couple of funds each and have never really paid too much attention to their super until now. David & Jody realised their superannuation was their money, and therefore wanted to take control of where and how the funds were invested. They decided to seek advice from D&M Financial Services – an independent SMSF Specialist Financial Services business to find out what their options were. After seeking advice from D&M Financial Services, David & Jody now have their very own Self-Managed Superannuation Fun in place. They have been able to reduce their investment cost, implement a more diversified investment portfolio within their SMSF, which in turn has reduced risk, and invest in assets that they simply did not have access to within their previous superannuation funds. David & Jody were also able to implement a Family Protection strategy where their SMSF is helping to pay for that cost. They have been able to increase the value of their super from $320,000 to over $700,000 by utilising the SMSF’s ability to use leverage to invest into quality growth assets. David & Jody also implemented a contribution strategy that is helping to reduce their overall income tax and increase the contributions being made to super each year. David & Jody are now receiving ongoing advice to make sure they remain on track to reach their goals which provides them with an enormous amount of peace-of-mind. Paul and Lisa had set up a SMSF through their accountant over 5 years ago and had the money placed in a term deposit at their bank, which had just been rolling over ever since. Paul and Lisa were talking to some friends of theirs (existing clients of D&M Financial Services) who also had a SMSF but were achieving much better results. Paul and Lisa contacted D&M Financial Services and made an appointment to review their SMSF. They were shocked to discover the current cost of their SMSF along with inflation, was outweighing the benefits. After reviewing their SMSF with D&M Financial Services, the advice provided was to re-write the trust deed and investment strategy to allow the SMSF to implement a range of different investment strategies such as being able to leverage to invest into a residential investment property, as well as other assets, to truly provide a diversified portfolio that will give their SMSF the best possible chance of achieving the returns they needed to help them reach their retirement goals. They also implemented the recommended family protection strategy to provide total peace-of-mind. Please be aware that this is a case study and that individual circumstances can be different and thereby achieve differing outcomes. Please take advice from a professional SMSF advisor.